It had the makings of a perfect horror story but became a farce. The discovery of 14 bulging plastic bags tied tightly at the mouth in an empty, overgrown plot of land in south Kolkata caused a flutter on Sunday. But when the city's Mayor, Sovan Chatterjee, arrived and authoritatively declared that inside them were dead newborns wrapped in chemicals so they did not smell, Kolkata gasped. 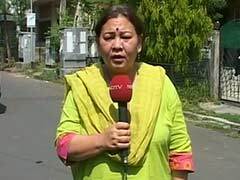 Kolkata was just recovering from the ghastly murder of a bank employee in Howrah. He was chopped into pieces and dumped in a plastic bag by the roadside. His limbs were found days later. His murderer has been arrested. At Haridevpur, the "scene of crime" where the plastic bags were found, not just the Kolkata Mayor showed up, so did Police Commissioner Rajeev Kumar and Deputy Commissioner, South West Division, Nilanjan Biswas. With a posse of police in crisp white who foraged through green overgrowth. Then a press meet took the myth forward. The foetuses - yes, somewhere along the way, the newborns turned into foetuses -- would be sent for post mortem at a top government-run hospital. An autopsy will reveal the age of the foetuses/infants, whether they died before birth or after, and the investigation will proceed along those lines, said the officer. Call the CBI, said some locals. Others, why not NIA? Kolkata erupted into a frenzy of speculation. Where did those foetuses come from? Unwed mothers illegally aborting unwanted infants in shady clinics, was most viral. Failing morals were flayed, state of society lamented, dubious doctors damned. A political party, reportedly, sent workers to the spot to protest the total breakdown of law and order in West Bengal. Sunday siesta went for a toss. Sunday adda jomay kheer ! And then the 'ultopuron', the busting of the myth. There has been a dramatic development in the case, announced reporters. No foetuses in those plastic bags. No body parts, no human tissue, nothing. Only medical waste - bandage, gauze, cotton etc packed in dry ice, apparently. May be even diapers, he says with a straight face. So will there be a post mortem, asked a stunned TV anchor? The reporter blushed and, had I been in his place, I would have prayed for the earth to open up beneath my feet and swallow me up forever. No, the reporter said on air. In many, more words. The police retracted, also red faced. "May be medical waste but we are waiting for forensic teams to confirm the content," Mr Biswas said. Credibility, shot. The Mayor was incommunicado till last reports. Something is cooking in Bengal. Students at universities and engineering colleges are reporting their campuses are crawling with ghosts. Every day vernacular TV news channels report the most grotesque crimes. Husband kills wife, wife and lover kill husband, young girl found dead and rotting inside a manhole in Kolkata, student suicide denied a smartphone. And of course political violence. And now dead babies in plastic bags who regress into foetuses and then into diapers.